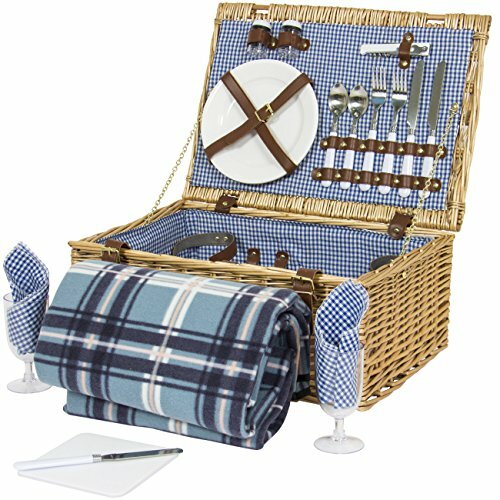 Summer is here and if you are looking for some healthy picnic ideas, you have come to the right place! My teens have two more weeks of school and I am torn between excitement and dread for the coming months. I love those kids like you would not believe but two teenagers at home all day every day is enough to stress out any mom! I find that the key to maintaining my sanity over the summer is two-fold. Keep them well fed and get out of the house occasionally. Both of those things can be accomplished by taking a picnic basket to the park. You think teens don’t like parks? HAH! We take roller blades and skateboards and watch the dogs at the dog park and make a stop at the library on the way home for new books…just like we did when they were 5. Sometimes I think teens are nothing but really huge preschoolers! 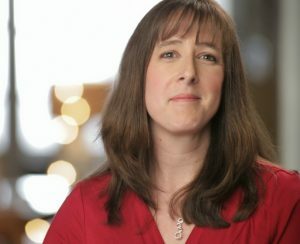 I thought I would share a few healthy picnic ideas in case you want to get your own kids out of the house this summer for a picnic. If you are planning on going on a picnic with kids, don’t just make a stop at the drive through before spreading your blanket in the park. 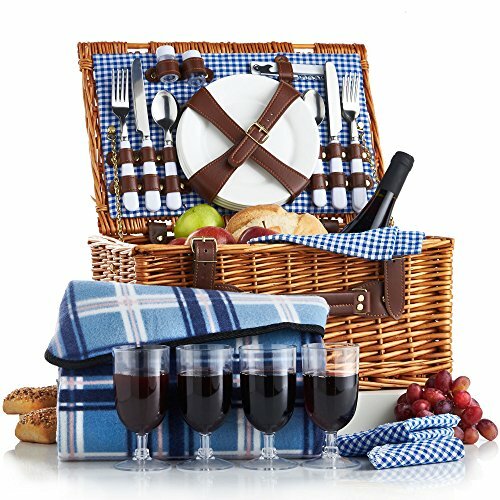 Give some thought to the types of foods and picnic supplies that you put in your picnic basket. 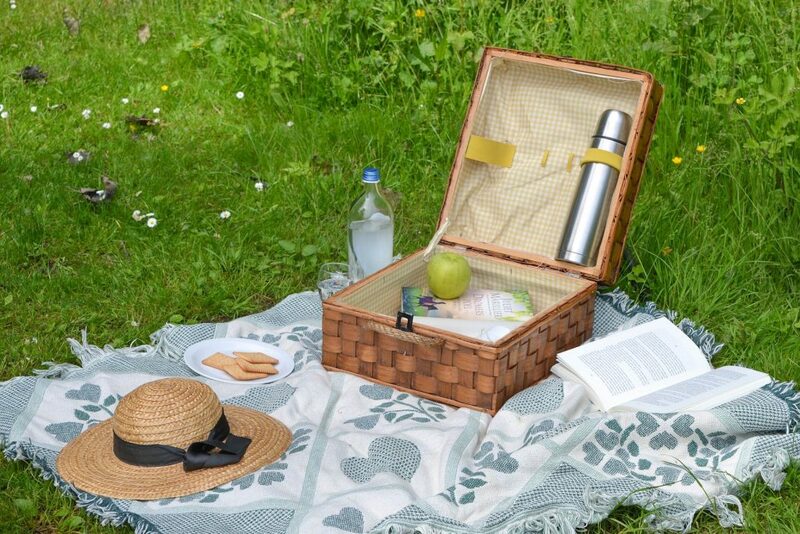 Here are a few healthy picnic ideas and tips for reducing your carbon footprint. 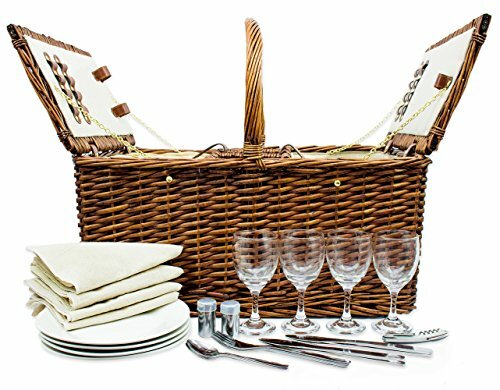 To carry your lunch, either bring a large cooler or invest in a picnic basket made of bamboo or natural willow. If you don’t have anything to refrigerate, you can even choose a reusable shopping bag. Choose seasonal, organic and/or local foods whenever possible. 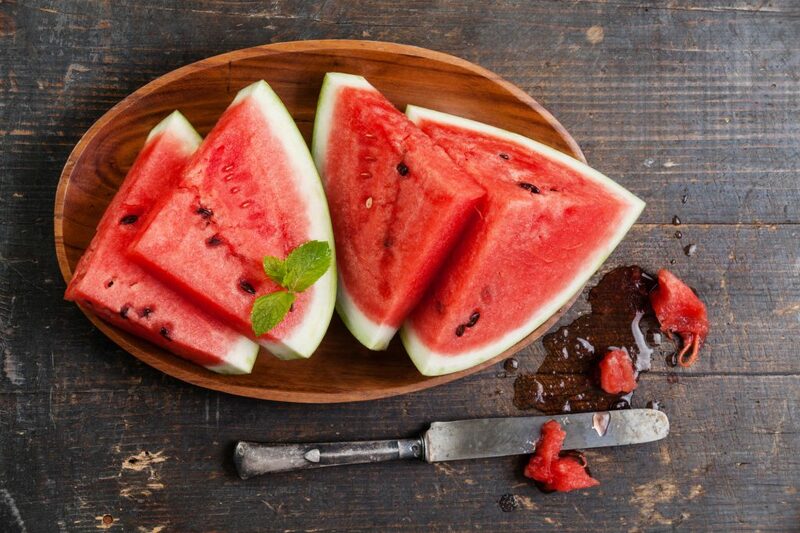 Summertime is perfect for berries, watermelon, and peaches. Make a pasta salad with organic pasta and a dolphin safe tuna or some homemade cookies for a treat. Sourcing your produce from local farms is a great way to reduce your carbon footprint. Bring real fruit and not fruit ‘snacks’. Offer cubes of cheese and trail mix to snack on. Choose whole grain slices of bread with sandwich meat and cheese that is free of nasty and unpronounceable ingredients. There is no reason your picnic has to include paper plates. 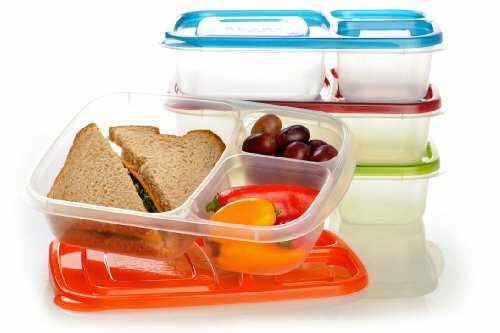 Bring along plastic containers of food and real silverware. 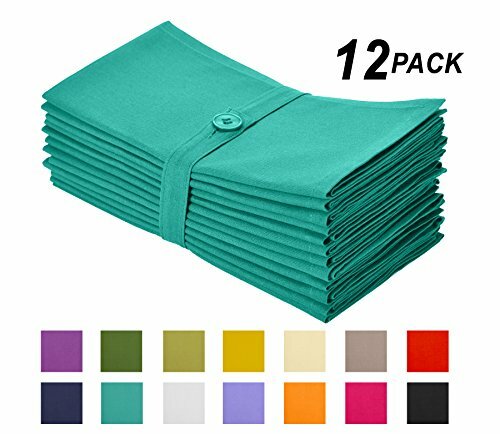 Cloth napkins cut down on waste even more. There should be very little trash left behind when you leave your picnic. 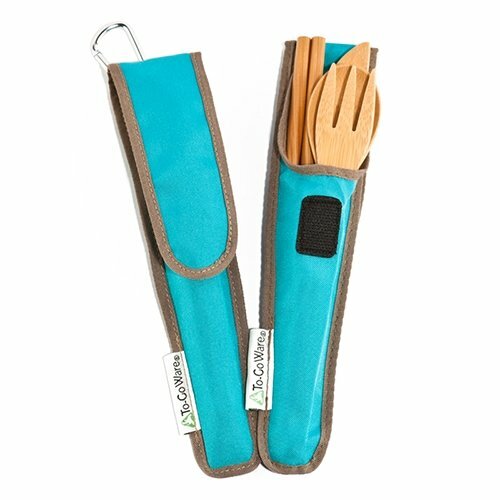 If you have to use disposables, choose ones made from things like bamboo or corn fiber. Juice boxes and pouches are NOT my favorite things. According to Postlandfill.org, enough Capri Sun packages are thrown away every year to wrap around the earth 5 times. That is an incredible amount of unnecessary waste. 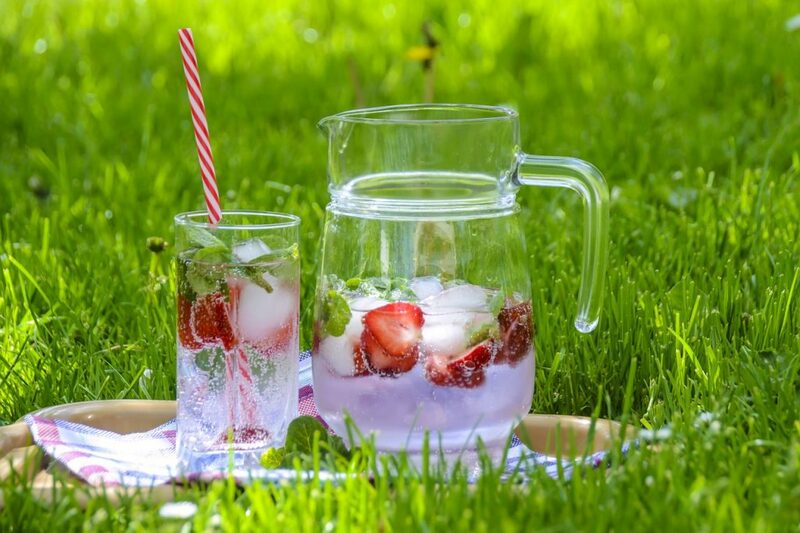 Pack reusable water bottles and fill them with homemade lemonade if your kids don’t like water. You can also bring along glass mason jars and a large sealable water pitcher filled with water and fresh fruit slices for flavor. Bugs and sun are both going to happen on your picnic. Protect yourself from both of them by choosing a safe sunscreen and using a natural bug spray. No need to spray your entire picnic area with nasty chemicals! Make sure your trash is not blowing around the park or getting left behind when you leave. Park animals do not need to be eating your potato chips and paper napkins blowing around the park are never a good thing. Taking the kids (even the teens!) to the park for a couple of hours can be a fun way to spend a summer day. It gets them a bit of exercise and can help break up the boredom of summer vacation. Make sure you choose your picnic foods and supplies wisely to maintain good health and reduce your carbon footprint! 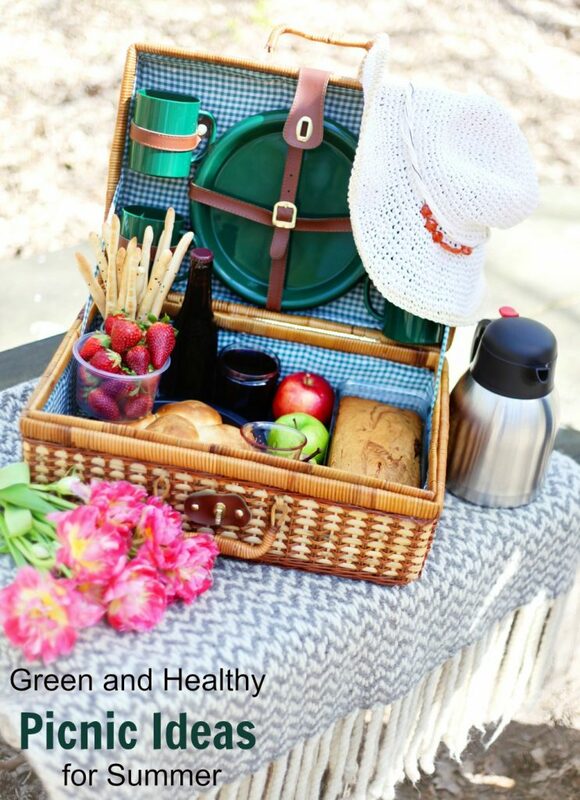 Have any green and healthy picnic ideas you want to share? I try really hard to remember the sunscreen. I'm pale so I burn easily.